Convert DVD to MP4, MOV, AVI and other 1000 formats. 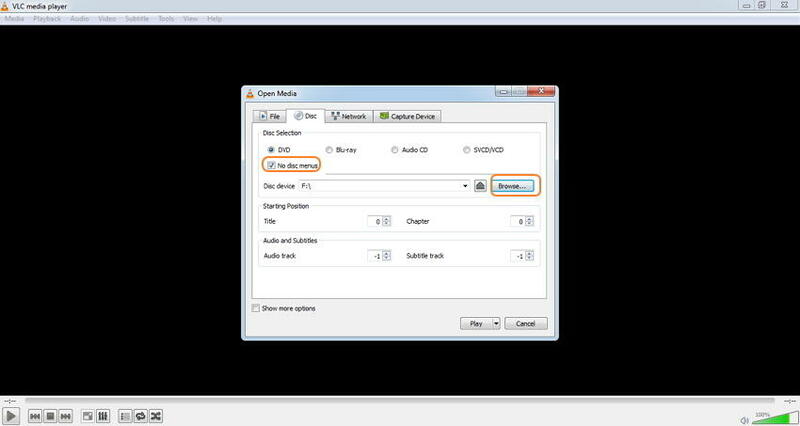 VLC Media Player is among the popularly used players as it is portable and works on all types of platforms. This open source player supports an array of video and audio formats and compression methods. The player also works as a decent disc ripper and allows converting your DVD disc to MP4 format. You can convert DVD to MP4 VLC on Windows as well as Mac system. 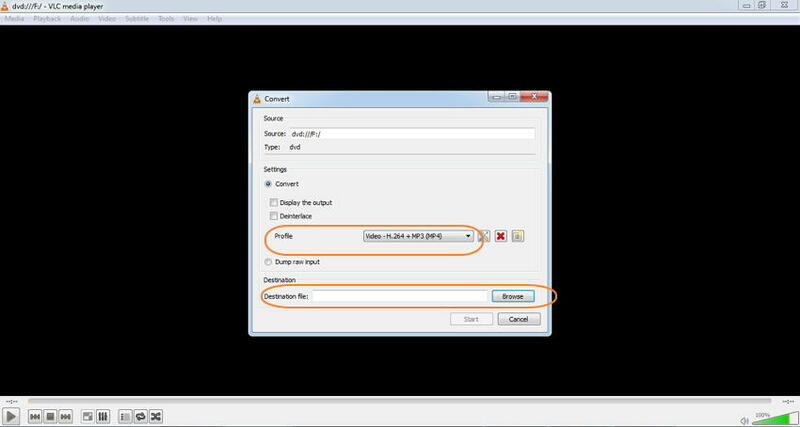 Below listed are the detailed steps on making VLC convert DVD to MP4. Part 3. Fail to Convert DVD to MP4 with VLC? How to Fix? For your Windows 10 PC, VLC works as a decent disc ripping tool as it facilitates converting DVD contents into for MP4 format. Once converted, the files can be played on a wide range of devices and players without any need for a DVD player. So to digitize your content use VLC convert DVD to MP4. Before proceeding with the steps below, insert the DVD disc into your Windows 10 drive. Step 1: Open VLC Media Player on your Windows 10 PC. From the main menu, click the Media tab on the top-left corner to open a drop-down menu and choose Open Disc. A new pop-up window will open. Alternatively, you can also choose the Convert/Save option from the Media tab and then select Disc tab from the pop-up window. Step 2: Under Disc Selection, check the box for No disc menus. At Disc Drive, browse and choose the DVD location. Step 3: Open drop-down menu next to the Play button on the bottom-right corner. Choose Convert from the list. 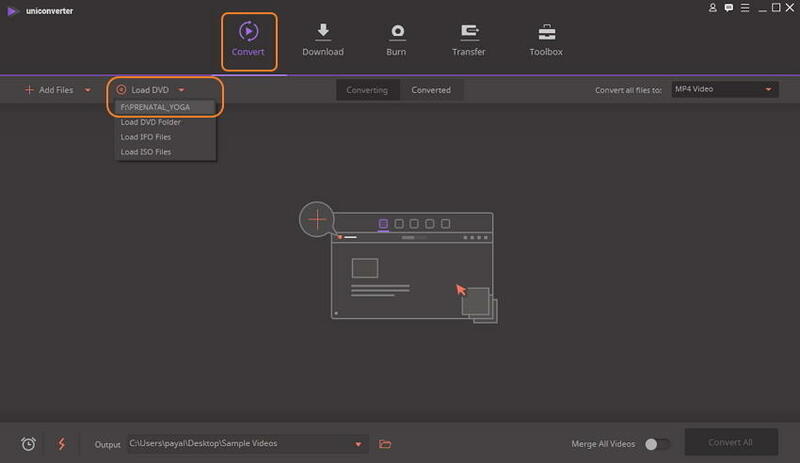 Step 4: A new Convert window will open from where choose MP4 as Profile format under Settings and location of the converted file and its name at the Destination File: tab. Step 5: Finally, click Start to rip DVD to MP4 VLC. VLC also works great on Mac system and just like its Windows version support ripping your disc content into MP4 format. Insert the DVD disc into your Mac drive before proceeding with the below steps. 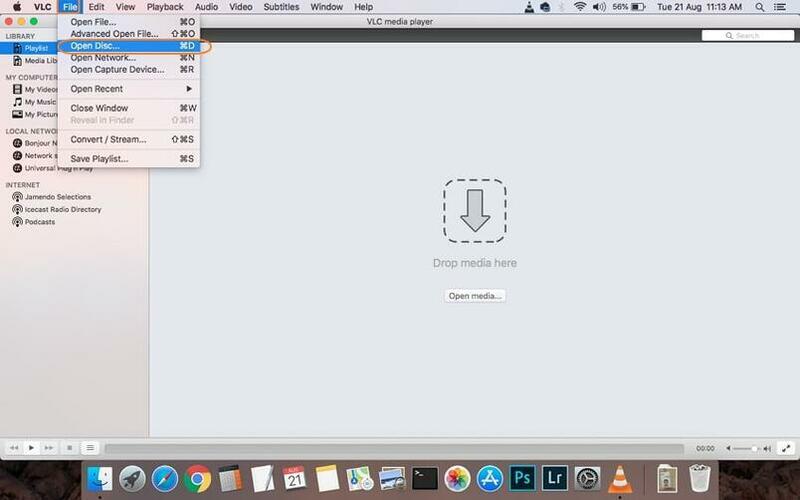 Step 1: Open VLC Media Player app on your Mac system. From the drop-down menu at the File tab, choose Open Disc option. Step 2: A window with your disc information will open. Click the box for Disable DVD menus. At the bottom left corner, check the box for Stream output. Step 3: Hit the Settings button that will allow you to a new window. 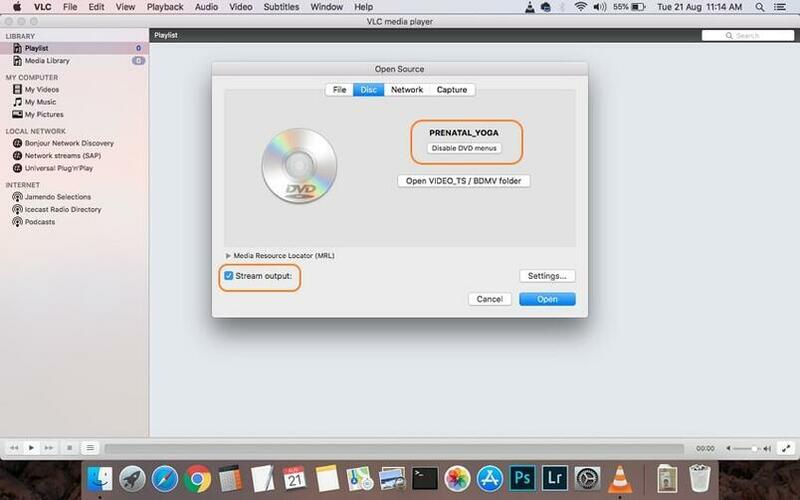 Here check the File option to get the ripped disc as a file on your Mac. Hit Browse to select the location where you want to save the ripped disc. 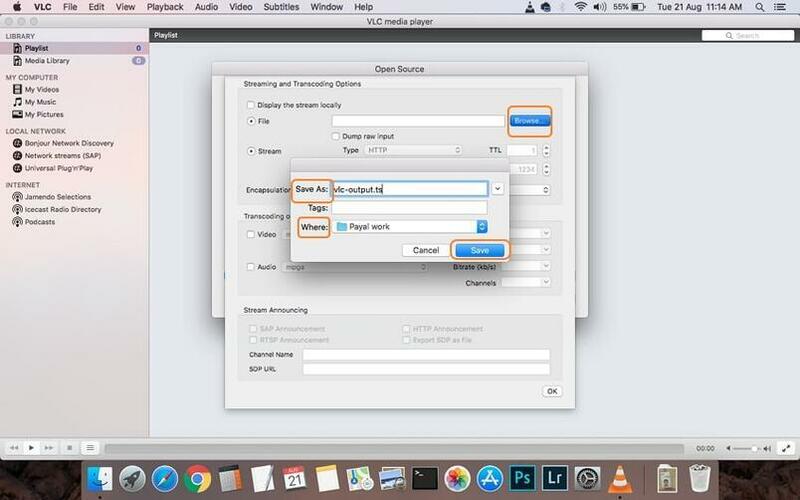 A pop-up window, choose file name and location at Save As and Where tabs respectively. Click the Save button to confirm. 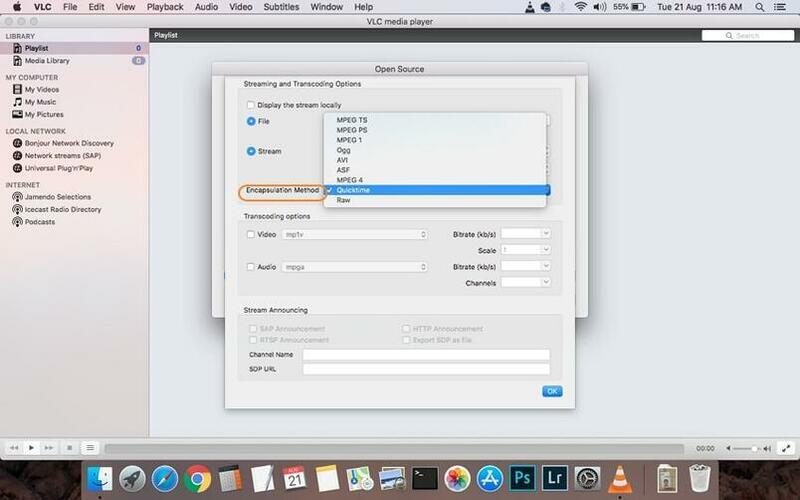 Step 4: Next, Open the drop-down menu at the Encapsulation Method and choose MPEG 4. Make the needed video and audio settings. Click OK to confirm all the settings. Step 5: Finally, click Open to start rip DVC with VLC Mac. Limited format support: While converting your DVD to video, VLC supports only a limited number of formats like MP4, WebM, OGG, and a few others. So if you want your discs to be converted into an array of formats, VLC won't prove to be a workable solution. Slow conversion: The DVD to MP4 conversion speed is slow and thus if there are a number of discs to be converted, it will take a lot of time. Lack of additional features: VLC supports basic ripping of DVD disc to MP4 format without any additional features or functions like video settings, editing, adding special effects, and others. So if you want to customize your videos while ripping, VLC won’t help. 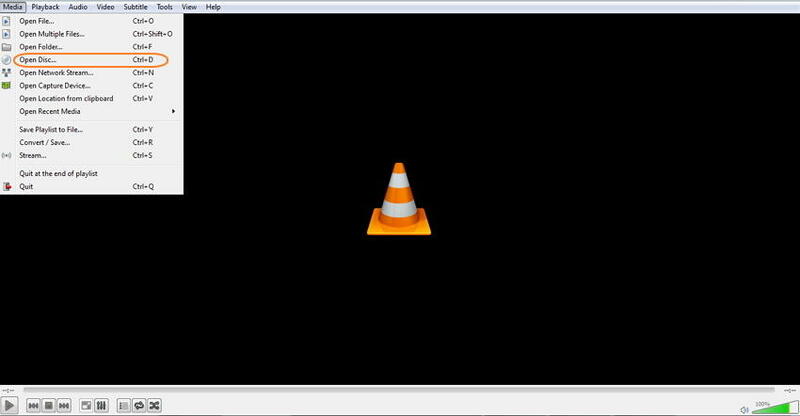 How to fix the failures of converting DVD to MP4 with VLC? The best way to fix the above and other limitations while you use VLC player convert DVD to MP4 is to use a professional tool and here we recommend Wondershare UniConverter (originally Wondershare Video Converter Ultimate). This expert video-toolbox allows converting your DVDs to MP4 in high quality. A wide range of other formats for conversion are also supported. The speed of conversion is 30X faster, owing to the APEXTRANS technology of the program. 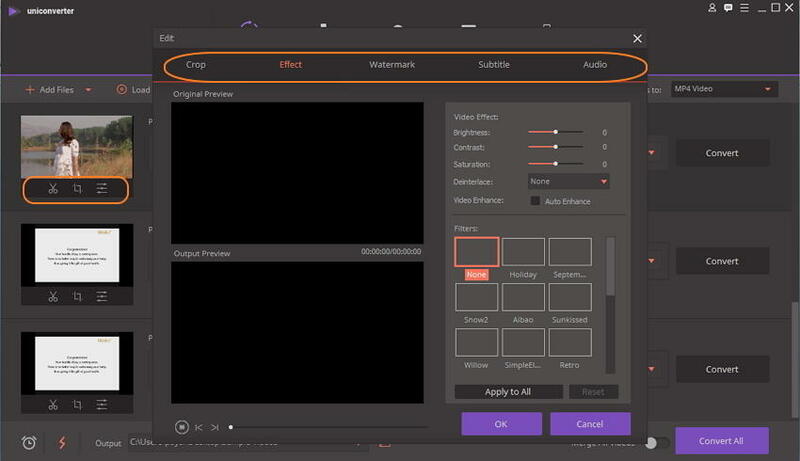 There is a complete video editor that allows video trimming, cropping, cutting, adding special effects, and adding watermarks before converting to MP4 format. The program works on both Windows and Mac systems. So when your VLC media player converts DVD to MP4 function does not work to your expectations, Wondershare UniConverter (originally Wondershare Video Converter Ultimate) proves to be the best alternative. Insert the DVD disc into your PC drive before proceeding with the steps below. Step 1 Launch Wondershare DVD to MP4 converter and load disc files. Open Wondershare UniConverter (originally Wondershare Video Converter Ultimate) on your PC. From the Convert tab, click Load DVD and from the drop-down menu, choose the disc that you have inserted. A pop-up DVD Load Model window will open to ask you to insert Main Movie or All Movies. Choose as desired and click OK button. Step 2 Edit DVD videos (Optional). The added disc files will appear on the program interface. To trim, cut, crop, add special effects and other editing features, click one of the editing icons under the thumbnail image. Make the needed changes from the pop-up Edit window and click OK to confirm. 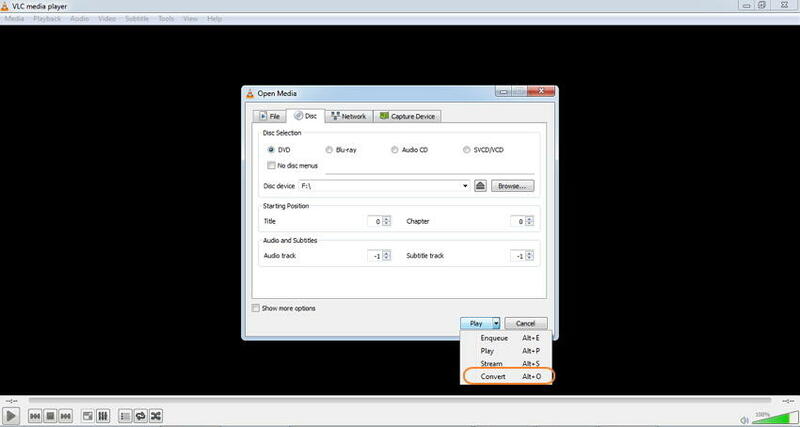 Step 3 Choose MP4 as output format for DVD to MP4. Once editing is done, open drop-down menu at the Convert all files to: option on the top-right corner. From the Video tab, choose the MP4 format and the resolution of the output file. Step 4 Convert DVD to MP4 with VLC alternative. Select the location on PC where you want to save the converted file at Output tab. Finally, hit Convert All to start the process of ripping DVD disc to MP4 format.